VANCOUVER - Environment Canada has lifted snowfall warnings for British Columbia's south coast, but conditions are still treacherous in some areas and frigid temperatures persist in parts of the province. Snow continues to fall over parts of southern Vancouver Island and the Fraser Valley, prompting some school closures as well as the suspension of all BC Transit service between Abbotsford and Hope. 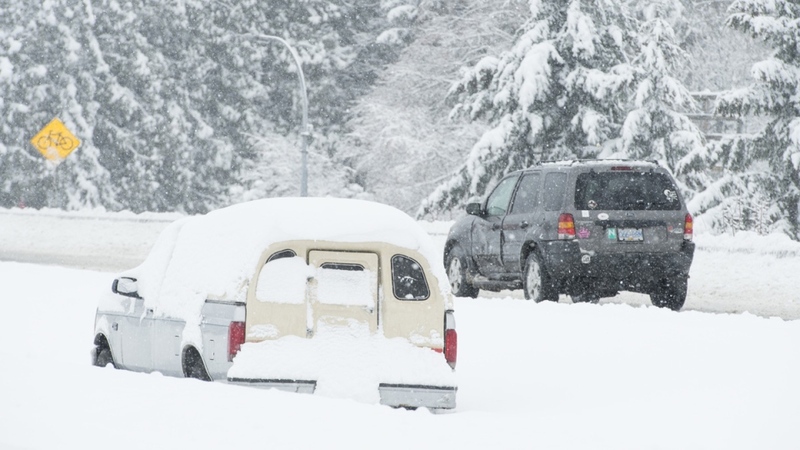 On Vancouver Island and the Sunshine Coast, residents are digging out after about 60 centimetres fell in some areas, while arctic winds are keeping wind chill values close to -20 in the Sea-to-Sky region. Students in at least eight Island and Sunshine Coast school districts have another day off as many roads are still clogged with snow, while a tweet from BC Transit warns Victoria-area commuters of delays. Ridge Meadows RCMP say weather and road conditions may have played a part in the death of an 85-year-old Maple Ridge pedestrian who was hit Tuesday, but that incident remains under investigation. The weather office says another system is bearing down on the south coast and could dump more snow on higher elevations by Thursday night, but forecasters expect slightly warmer temperatures mean the precipitation could fall as rain at lower levels.